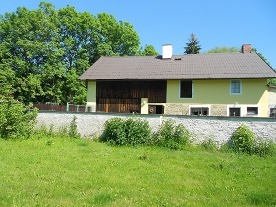 Renting of Metuje - Maršov nad Metují - Velké Petrovice. 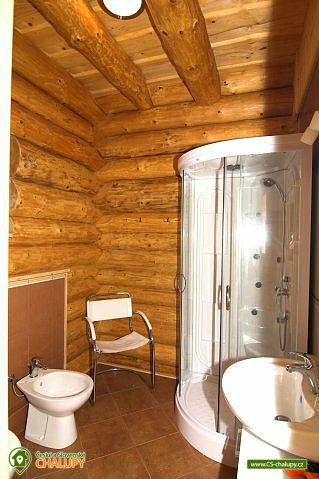 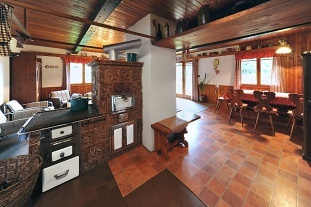 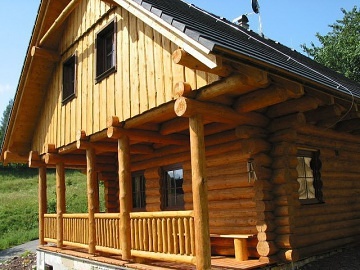 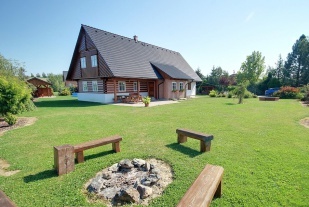 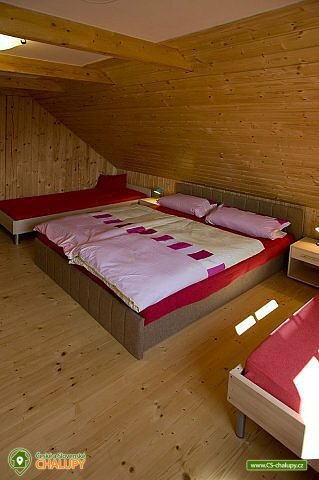 We offer accommodation in the Canadian log cabin in the Broumovsko Protected Landscape Area, near the entrance to Adrspach and Teplice Rocks. 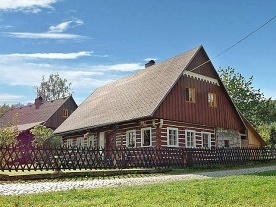 The Srub Metes over the accommodation capacity of 10 persons offers year-round accommodation and meets the most demanding requirements for comfortable and pleasant recreation for all ages, for families with children, for sporty visitors, but also for those who want to enjoy peace and relax passively. 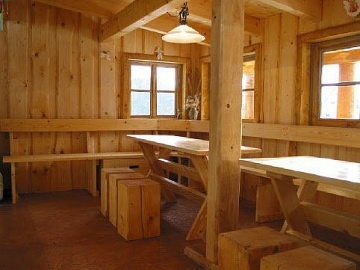 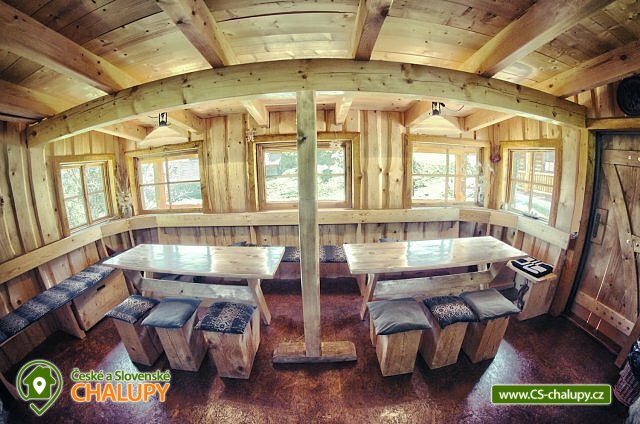 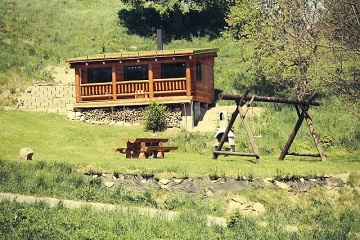 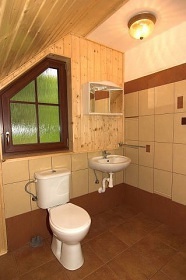 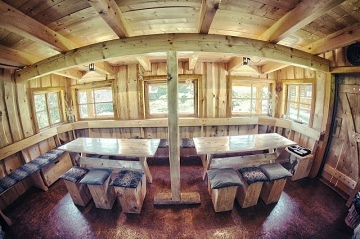 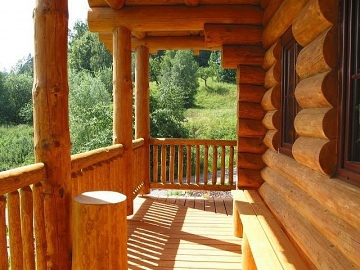 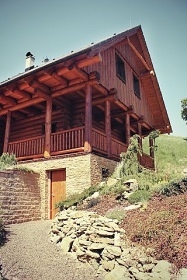 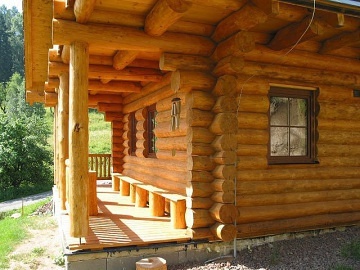 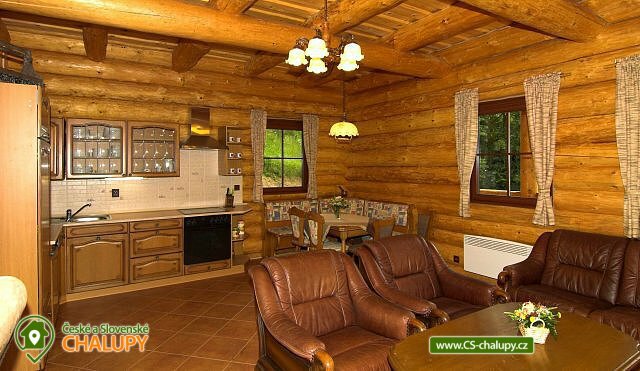 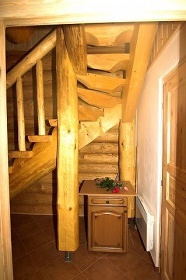 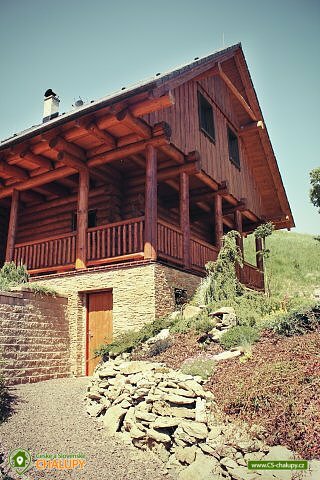 The cabin includes a log cabin that provides a pleasant sitting outside the main building. 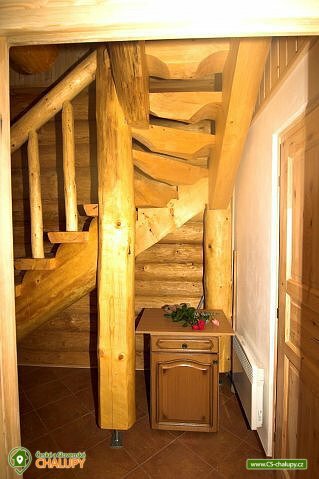 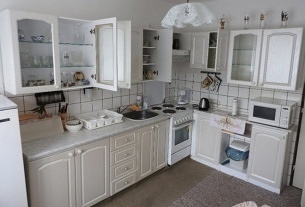 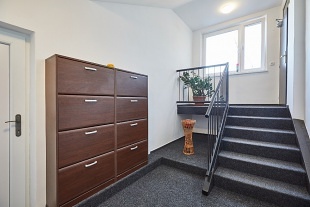 On the ground floor there is a living room with a fully equipped kitchen, dining area, fireplace, bathroom and toilet and on the upper floor there is a rest zone with three bedrooms (two quadruple and one double) and a toilet. 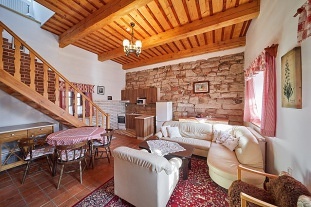 There is also a spacious covered terrace, outdoor seating at the garden fireplace, children's swings and a cellar for storing bicycles, skis, etc. 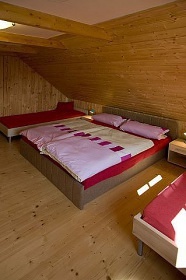 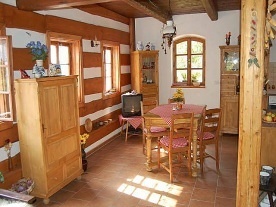 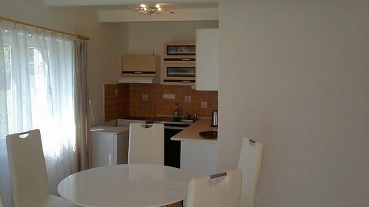 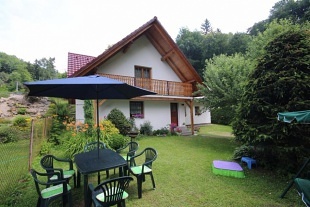 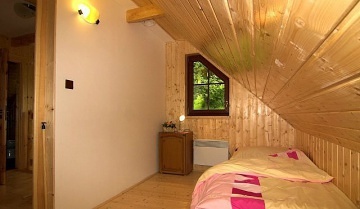 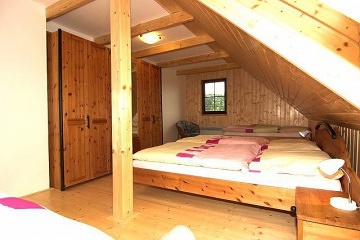 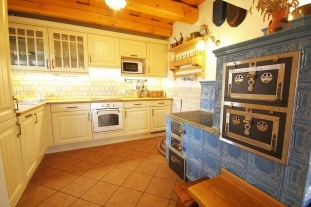 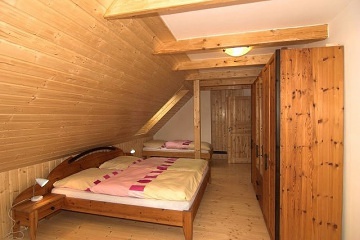 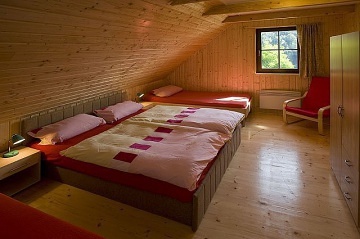 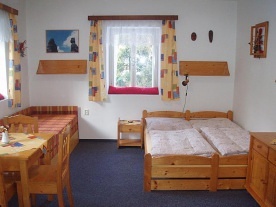 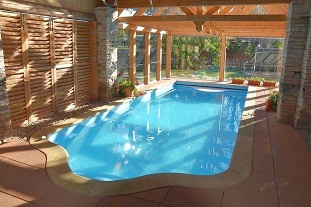 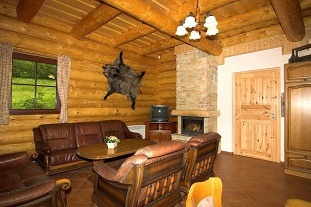 All set in the picturesque Maršov valley near the forest and the river Metuje. Of course there is LCD TV, DVD and SAT. 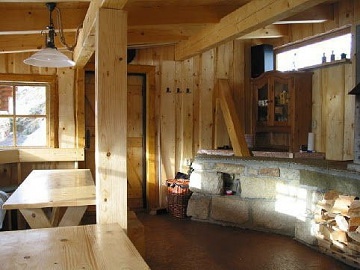 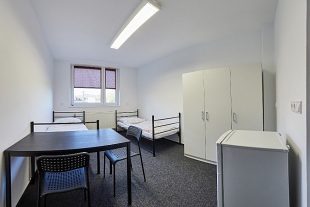 Heating is provided by electric heaters and a fireplace insert with wiring throughout the building. 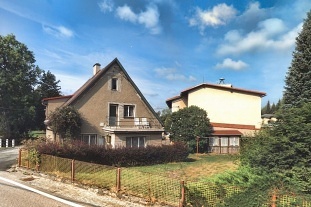 Possibility to park directly next to the building for up to 4 cars. 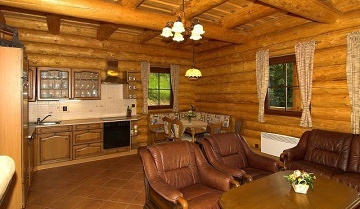 In the log cabin cooking, eating own. 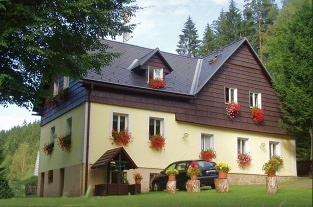 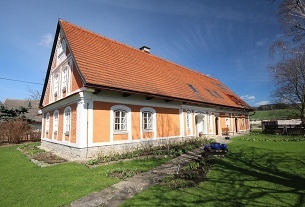 In the vicinity there are other restaurants, we recommend Hotel Na Mýtě in Bezděkov. 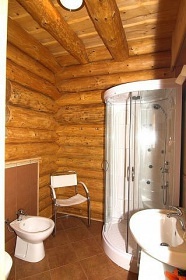 Those who can enjoy it will be excited about this area. 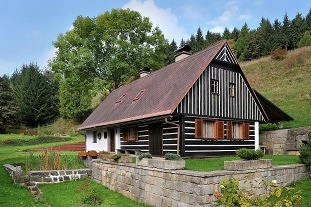 The Kladské border is unique and is one of the most popular holiday destinations. 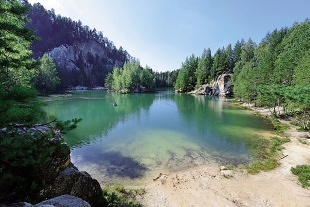 Count on us: a few protected natural areas, including the famous Adrspach-Teplice rocks. You can find so many fascinating nooks as you do in Adrspach - Teplice rocks. 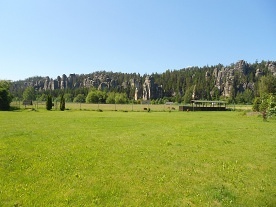 These sandstone rocks are the largest and wildest rock city of Central Europe. Ratibořice Chateau with Babiččiný valley, the center of water sports and summer recreation on Rozkoš near Česká Skalice water reservoir, castles with spooky expositions in Náchod and Nové Město nad Metují, Merkur Building Museum in Polička nad Metují, Dobrošov military fortress, Ostaš mountain table and more excellent conditions for watermen, climbers, cyclists and hiking, fishing and mushrooming. 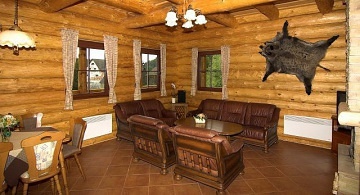 In winter there are a number of cross-country skiing tracks and ski lifts with technical snow and night lighting. 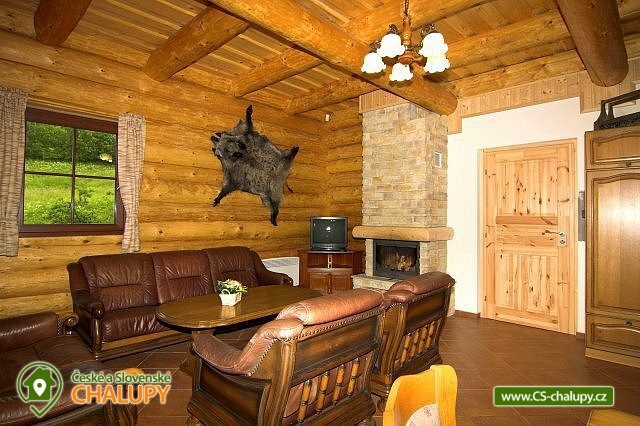 This region is full of attractions, you will certainly choose every one and we hope you will be back. 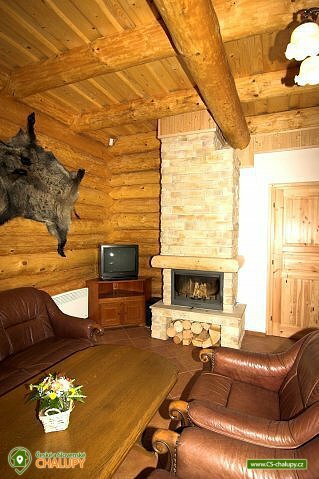 Your visit is enjoyed by Metuje. 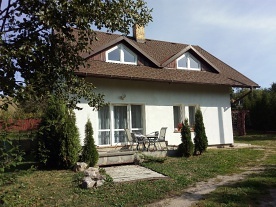 Additional information Nástup v sobotu po 15 - té hodině, odjezd v sobotu do 10 - ti hodin. 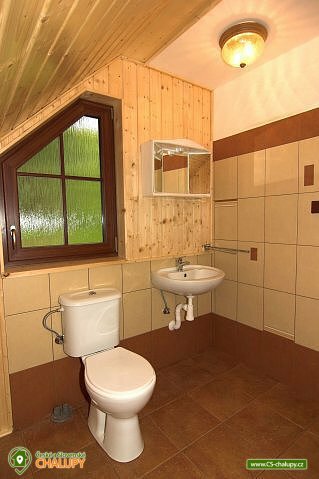 Additional information V ceně týdenního pobytu je zahrnut závěrečný úklid a lůžkoviny. 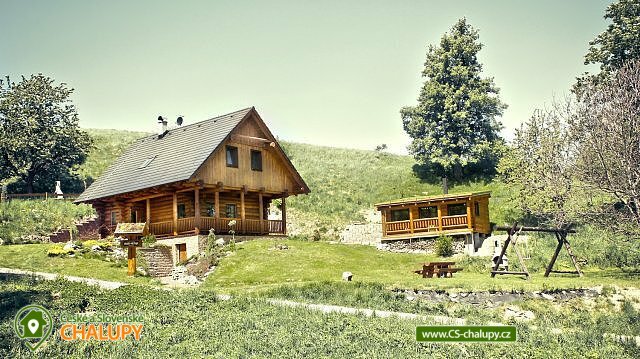 V ceně není zahrnuta spotřeba energií a u víkendových pobytů i lůžkoviny 100,- Kč/osoba. Růžová chalupa u Šimánků - Rtyně v Podkrk.